This week’s WordPress Photo Challenge is Good Morning so early yesterday Kongo headed toward lower Manhattan to catch New York City waking up on a Saturday morning. 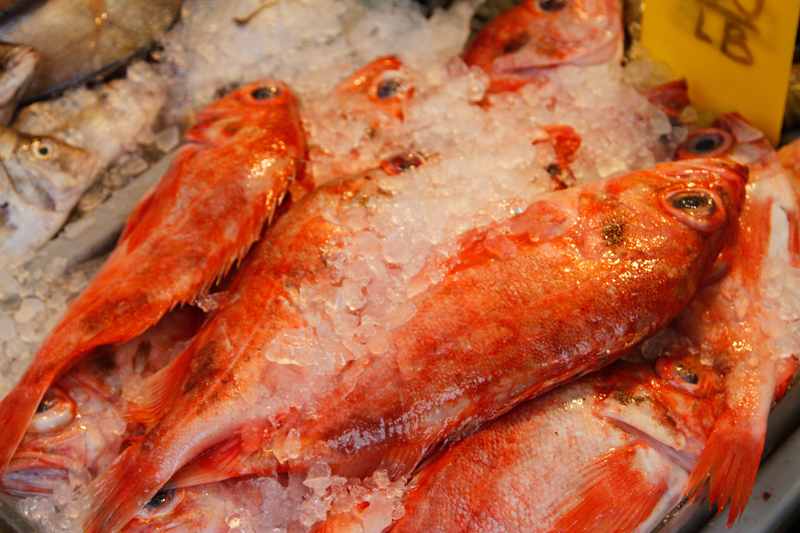 Above, some fish for sale at a street market on Mott Street in Chinatown are not having such a good morning. 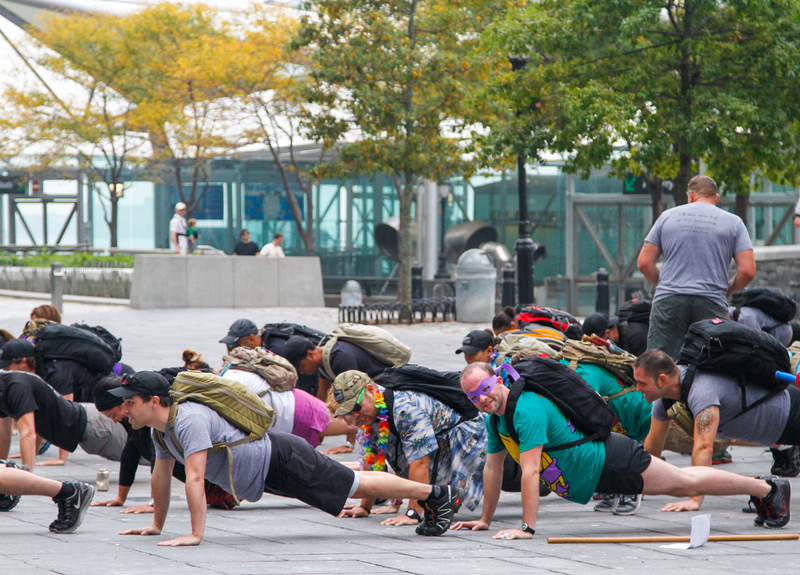 These intrepid followers of some weird NYC fitness ritual are doing pushups with backpacks at 8 AM in Battery Park City under the watchful eye of a BIG guy who clearly had a previous life as a drill instructor. Kongo isn’t sure what this was all about but the guy with the purple mask caught the monkey’s attention. Hey, whatcha lookin’ at! It’s New York. 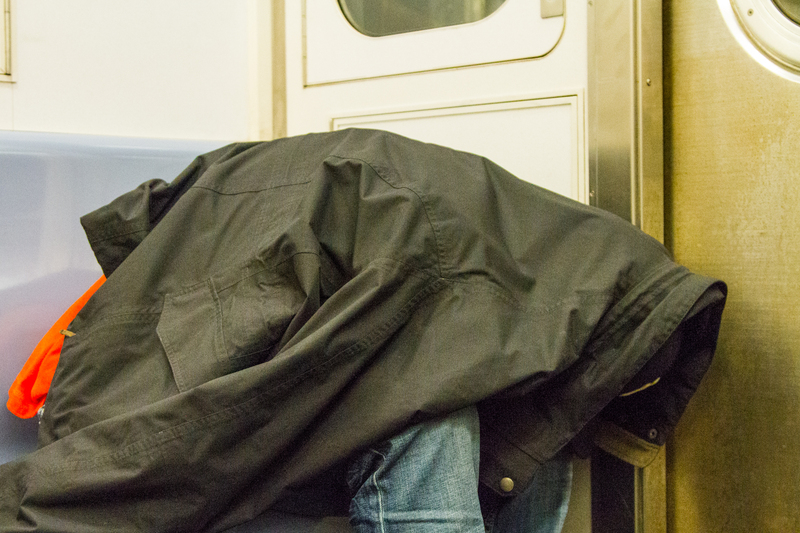 This guy on the #4 Downtown Train wasn’t quite awake yet. 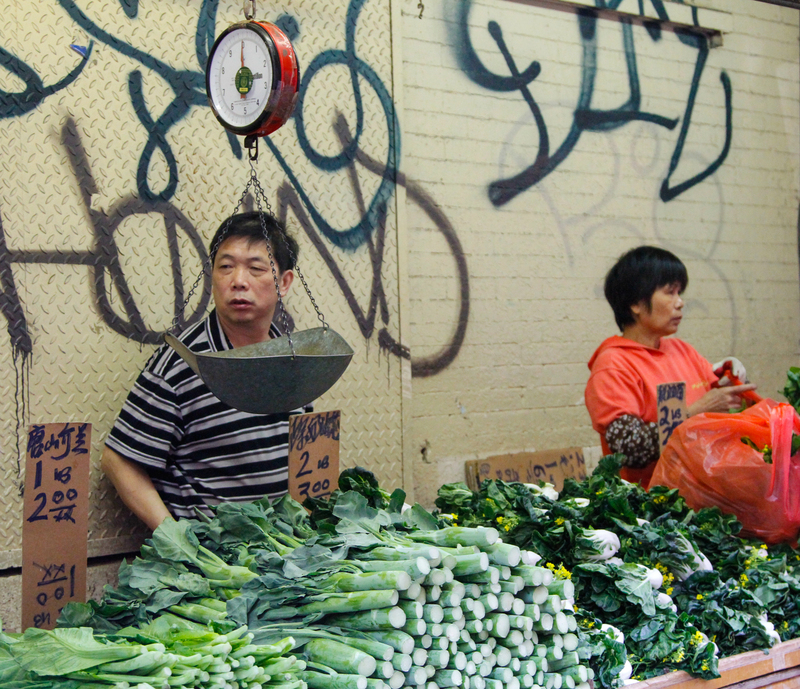 Selling vegetables in Chinatown early in the morning. See more Good Morning images at the Weekly Photo Challenge. Great shots! Travel safe, Kongo! Thanks. I think it’s hard to take a bad picture of a stack of dead fish. All those eyes looking at you make for interesting images.